The stunning pool and spa featured is more than meets the eye. While it first stands out due to its clean, modern lines and bright blue interior, the design should be congratulated for the challenging task of wrapping around the home and seamlessly integrating with the existing property. 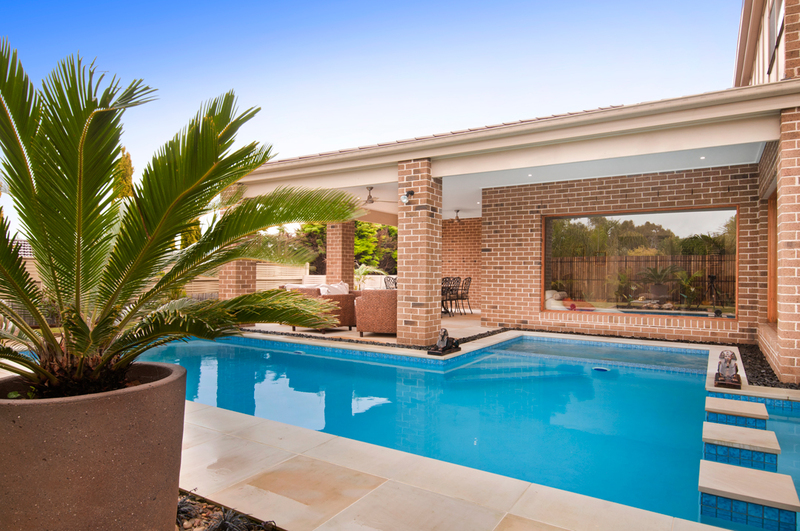 The pool and spa was designed by John Tyzzer from Seaspray Pools in conjunction with the homeowners, who requested an aesthetically pleasing pool and spa that could be viewed from within the home, and that adjoined an alfresco entertaining area. By designing the pool and spa to wrap around the home, Seaspray Pools have ensured a strong visual impact from many rooms within the home, and they have also maximised available space in the homeowners’ backyard. 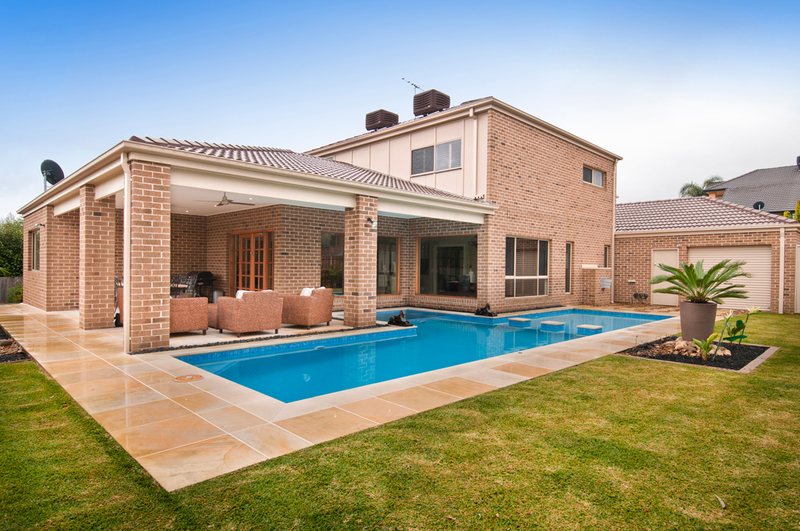 Through the addition of stepping stones to the backyard and adjoining alfresco area, the pool and spa has also become the centre to the ultimate entertaining space. The 12m x 3m concrete pool and spa features a rendered quartz interior and waterline tiles, which are perfectly complemented by the sandstone paving and black feature pebbles. The spa is fitted with six jets and a gas heater, and both the pool and spa are fitted with underwater lighting. This ensures use day or night, at any time of the year. The pool is also installed with solar heating to save energy over the warmer months. It is not uncommon for striking designs like this to come with challenges, and Seaspray Pools did have to ensure the structure of the home was not interfered with due to the close proximity of the pool site. Through careful design, and experienced construction methods, these challenges were overcome and the risk certainly paid off. 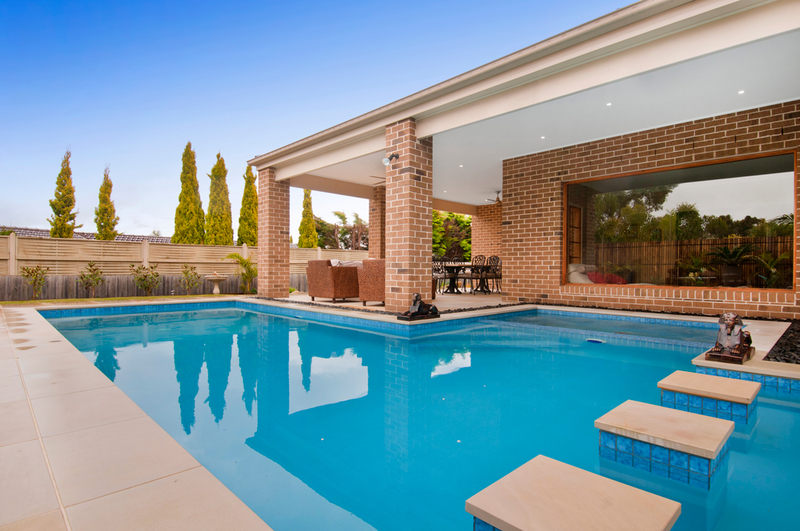 Seaspray Pools specialise in reinforced concrete pools designed specifically to suit each individual backyard. 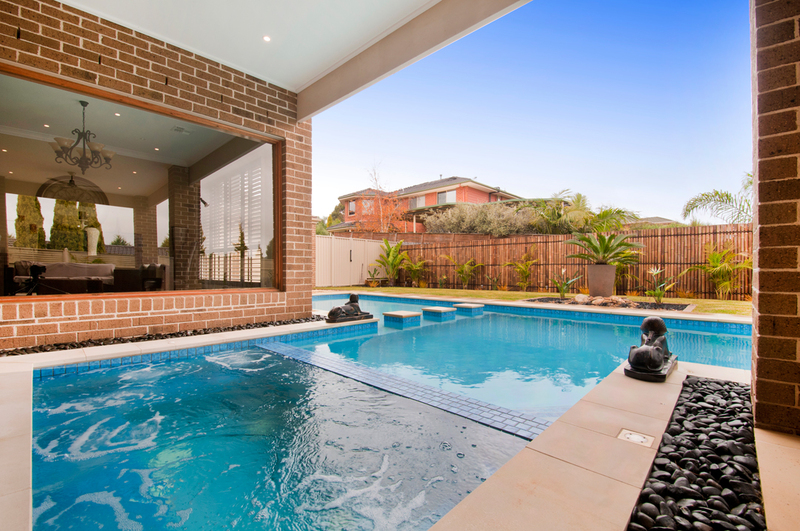 They work in all suburbs of Melbourne, building approximately 100 pools per year. They strive to provide the highest quality custom-designed swimming pools at an affordable price. They are well recognised winners of many categories at the SPASA VIC awards, including gold for Best Display Centre in 2008 and gold for National Pool and Spa of the Year Under $50,000 in 2010. Since John Tyzzer started the business in 1991, Seaspray Pools have vowed to ensure their clients are not only satisfied with their creation but are overwhelmed with the beauty and smooth experience of the project.